Yan Lo is a master at summoning spirits of his ancient ancestors and making them all meaner and more aggressive, he hires out his trade for the Ten Thunders and Resurrections factions. 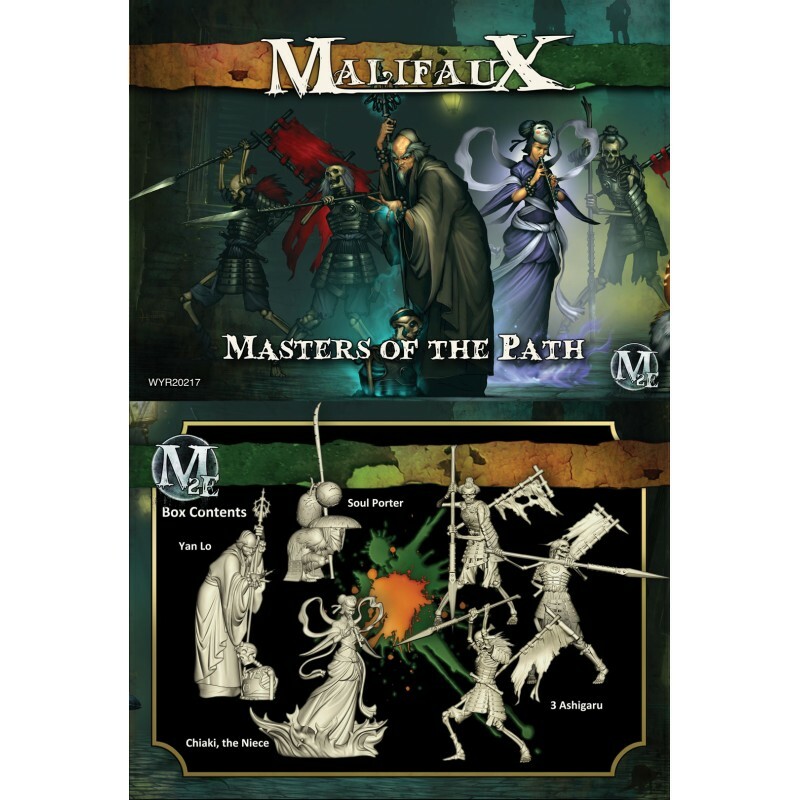 There is more than one breach in to Malifaux than just the one controlled by the Guild, despite what their propaganda says. Dozens have opened across the world, one being in the centre of Three Kingdoms, where the Ten Thunders have used this to their advantage to smuggle goods in and out and to also place their agents in key positions within the city. For many years the information coming in and out was very limited which meant they were able to build up their bases of operations, establishing their own line of soul stones and gather information about Malifaux and Earth beyond their walls. 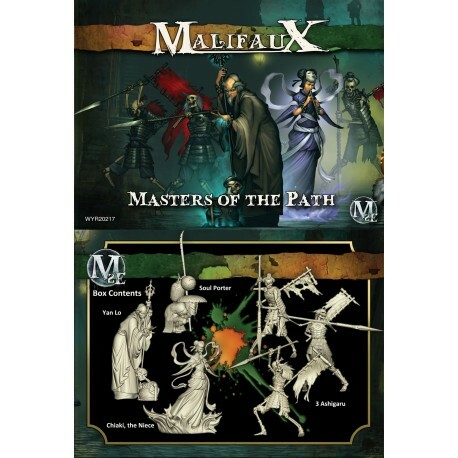 The Ten Thunders are a mystery to the residents of Malifaux, their origins date back to the Three Kingdoms back on Earthside and are shrouded in secrecy and legend, though completely twisted and tainted most of their history is lies. Membership is exclusive to only those of the Three Kingdoms, sacrifice is demanded over capture then to reveal its secrets. Even the Ten Thunders' locally hired thugs do not know how their employers have been able to reach across the Breach. While the Resurrectionists are about all things undead, and tend to favour summoning new models and raining debilitating effects upon their opponents. The summoning, combined with having lots of wounds and a lot of damage-mitigating abilities, make them very hard gang to shift. This pack includes 6 x 32mm plastic figures and 6 stat cards. The models included in this set are 1 Yan lo, 1 Soul Porter, 1 Chiaki, the Niece and 3 Ashigaru. Please Note: These models are supplied unpainted and some assembly may be required.